I was well into adulthood before I realized that I was an American. Of course I had been born in America, and lived here all of my life, but it somehow never occurred to me that just being a citizen of the United States meant that I was an American. Americans were people who ate peanut butter and jelly on mushy white bread that came out of plastic packages. ME? I WAS ITALIAN. even predating the Roman Empire as well as the Etruscan and Greek civilizatons. But Italy as a nation is not very old at all. In fact, it is younger than the United States of America. While the USA was still celebrating its centennial and enduring a Civil War, in 1861, that’s when Italy was born. 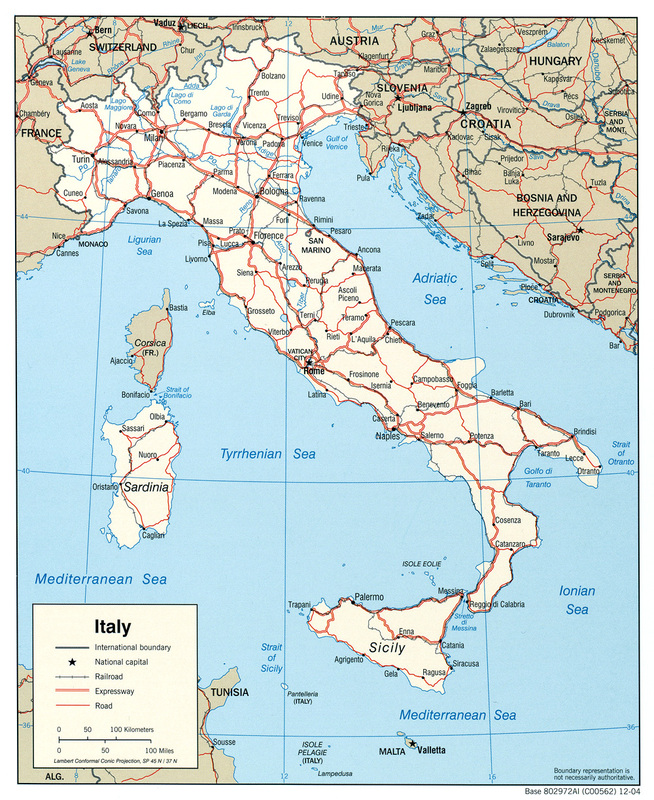 Before that the Italian peninsuila consisted of a number of city-states and lands controlled by the Roman Catholic Church. Any idea what the colors red, white, and green on the Italian flag represent? The answer might be in Dante's Divine Comedy. Dante wrote that there are three cardinal virtues: hope, faith, and charity. Green symbolizes hope, white symbolizes faith, and red symbolizes charity. How do the colors appear on the flag?